Out of idle curiosity, I wondered what they shot the product images with: EXIF data reveals a H5D-200c MS. It turns out those April 7 rumours were true after all: there’s a new H in town. The H5 I’ve been using for the last couple of months was announced in 2012, with the CMOS version arriving mid 2014. Given the long product cycle times in medium format land, four years is not too bad between iterations. In any case, following Phase One’s XF-100MP announcement and innovative suite of features, Hasselblad would have to do something not to get left behind. The important features are here: 50MP on 44x33mm, 100MP on 54x40mm, leaf shutter up to 1/2000s with new/updated lenses, a new 3″ VGA touch panel, improved live view, RAW video out (Apple ProRes) at 1080P30 on the 50MP version and 4K30 on the 100MP version. Firewire is now USB3.0, along with HDMI out and audio IO. Oh, and no more CompactFlash – it’s now SD and CFast. Lastly, there’s a new version of the tethering and workflow software – Phocus 3.0. Today’s post is going to be a bit more than just a spec sheet: it’s also a little analysis of the state of medium format at the moment. Let’s start with the good bits. The body and finder ergonomics, plus the camera-side UI remain largely unchanged from the previous H-cameras; this is good for heavy users because it means minimal disruption in the way you work. All of the things we liked about the H5D still remain: the parallax-compensating True Focus gyros, the zone spot meter, the profiles, the customisability and modularity. There wasn’t much wrong with any of this to begin with – and personally, I’ve found the H5D to be one of the most transparent cameras in operation – it just gets out of your way and lets you focus on making the image. I expect the H6D to be the same. How the new back UI works out in the field remains to be seen, but given that we interact very little with the back anyway other than for reviewing images – it’s unlikely to be make or break either way. That said, with effective implementation of the touch screen’s capabilities – I think it could speed up the workflow even more. The sensors are Sony-sourced CMOS units, which means we’re looking at a derivative of the 50MP sensor in the H5D-50c and CFV-50c for the 50MP version, with a 5.3u pixels on a 44x33mm size and 0.8 crop to 35mm or 1.3x crop to 645. Maximum ISO remains at 6400 with a claimed 14 stop dynamic range; in practice, I find it’s a bit more than this – perhaps a little over 15 when you take into account highlight recoverability. The 100MP sensor is likely the same base unit as Phase One’s XF, which means 4.6u pixels on 53.4x40mm, ISO to 12800 and a native ISO of 64 – plus a claimed 15 stops of dynamic range, since this sensor uses a newer architecture. (Remember, the 50MP sensor dates to 2014, which means it probably shares its underpinnings with the D800 generation.) It’s also worth noting the cameras now do up to 60min exposures without needing a dark frame afterwards – I’ve tried the current generation to the 34min limit, and it’s clean. After a few years of running on older sensors and seeing 35mm close the gap to medium format, I suspect we’re going to see quite a bit of clear air open up again. Hasselblad claims existing lenses will have no problems resolving 100MP – since the photosites are only a little smaller, and only the HCD lenses don’t quite cover 54x40mm. My experience suggests this is true, though the 2.2/100 will need to be stopped down a little. The other lenses I have are more than a match for the 5.3u pixels of the 50MP camera even wide open. It’s also worth noting that there are different finder masks for the two sensor sizes, so there are no confusing crop lines to clutter up the finder. It remains to be seen how easy it is to deploy the 100MP monster in the field – higher shutter speeds will definitely be needed than for 50MP since the angular pixel density is higher, but if the sensor’s underlying noise levels are lower, we might just be able to crank the ISO up a stop with little penalty – and much more resolution. There’s also focusing accuracy to consider, and even if the camera can get it right 100% of the time – it’s important to remember a bit of subject or photographer motion is likely to make a huge difference in apparent focal plane, not to mention the finite size of the focusing box – and lastly, the fact that apparent DOF (and critical sharpness) are actually tied to resolution. Still, I’m up for the challenge. New ports and port cover – the USB3 connector is under the little oval flap, and supposedly as strong as the old Firewire connection. Live view is claimed to be improved significantly from the previous generation – which is good, because it refreshed at 30fps and would easily blow out in bright daylight, requiring an ND filter or stopping down (making critical focus tricky). I presume this has something to do with the new electronic architecture and the higher data rates required for video and 100MP. As mentioned earlier, there’s also what appears to be a tentative foray into video: if video quality is anything like the stills, I think we may be at the start of something. As expensive as the cameras are – they’re still nothing compared to the cost of a major production. The increase in maximum shutter speed is interesting. Some sophisticated electronic synchronisation plus improved shutter units allow 1/2000s with the new camera and new lenses, or 1/1000s with prior HxD cameras. (Note that existing lenses are still limited to 1/800s on all cameras, but can be sent in for the upgrade.) From an available light and handheld photographer’s point of view, 1/800s is borderline for anything longer than 150mm or so; even at 50MP the slightest shake can completely destroy any resolution advantage over 35mm. For the studio guys, 1/1800s at all apertures and with all lenses basically means you can overpower the sun with impunity. It’s also a clear shot across the bows of Phase One, whose 1/1600s max sync with leaf shutter lenses (not all of its lenses have leaf shutters, though) has been one of its strongest selling points for the studio pros. On top of that, a slower maximum speed of course limits possible apertures in bright light – 1/2000s and ISO 64 effectively means you can now work with an aperture two stops wider in the same light conditions as before, too. 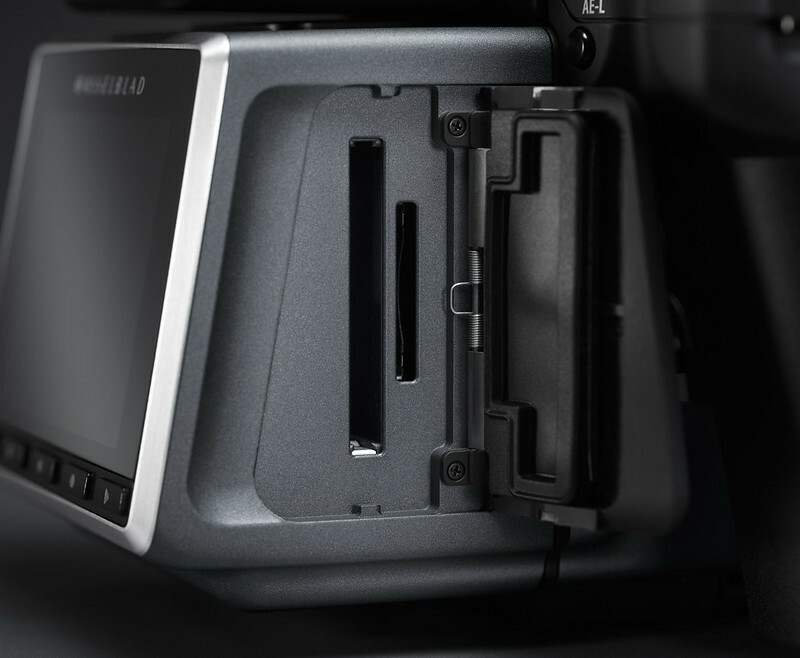 There are basically only two complete system players left in medium format: Hasselblad and Phase One. I don’t consider Leica or Pentax to be complete systems: Leica lacks tilt shift lenses other than the 120, and Pentax lacks both leaf shutter lenses, tilt shift lenses, and a complete set of lenses whose performance is consistent and commensurate with the abilities of its sensor. Furthermore, as subjective as these things are, I don’t think the Pentax implementation of the sensor is quite as good as either Hasselblad or Phase One; its files seem to lack the depth and richness produced by the other two, or the accuracy and highlight handling of the Hasselblad. CFast and SD – whilst I can understand why CFast is necessary for video with its 500mb/s+ IO speeds, it’s still very difficult to find cards and accessories in some parts of the world – where I live, for instance. Thankfully there’s also an SD slot. Until now, Hasselblad lagged somewhat in sync speed and resolution, but trumped P1 on lens selection (specifically at the wide end) and perspective control options – there’s the HTS 1.5x tilt shift converter for most of the lenses 100mm and shorter – P1 requires you to buy an Alpa. P1 has some more innovative functions – the vibration-sensing shutter release and all-over touch UI, for instance, and higher overall shutter speeds (up to 1/4000s with the focal plane shutter). Their products are also significantly more expensive, but if you are a working pro able to justify medium format – it probably doesn’t matter that much. I think at this level, photographers select their tools based off necessity and support infrastructure rather than loyalty or fanboyism. If I was a studio photographer, I’d probably have gone with P1 (assuming they’d ever reply my emails, much less sell me a camera). But since a lot of my work is available-light, and needs movements, the HTS is the one killer bit of hardware for me. I also much prefer Hasselblad’s tonality and color. The question of ‘do I need it?’ and ‘are such products even relevant?’ is probably going to be thought that follows immediate lust – the answer is quite simple: you’ll know if you do. To me, the biggest gains for MF over 35mm aren’t so much outright resolving power as dynamic range, color accuracy and handling of highlight transitions – the files are highly transparent and just don’t look ‘digital’ and ‘hard’, and that’s not something you can get anywhere else. But if you don’t have the output method to make the most of it – preferably large and/or high resolution print – then the difference may be somewhat lost. Ambassador benefits: I’m trying to get hold of a H6D-100c to test in the near future, the results of which will be published here. There are very few units in the wild at the moment, but I’m sure if there’s strong interest demonstrated in the comments it’ll move me up the priority list 🙂 I’ll also be publishing a closing report on my time with the H5D-50c in due course. B&H is taking pre-orders here for both versions. Hi Ming. About the new high speed lenses, would these be compatible (and give us the 1/2000 flash sync speed) with bodies other than H6D? Like the H4D or the H5D. Compatible: yes, but limited to 1/1000s on the H5, not sure about the H4. I’ve been looking at MF for ages (interior/architecture/furniture mostly) so it’s very informative to read about your switch. I was interested that you say “the biggest gains for MF over 35mm aren’t so much outright resolving power as dynamic range, color accuracy and handling of highlight transitions”. I’m getting results I am pleased with from a 5Dsr and various lenses, the big thing that has been hindering me lately is distortion. I know that there are lens profiles to correct for it but I’d rather have it right in camera and distortion makes it very hard to compose in the first place especially with straight on interior shots. Half the time buildings aren’t very square (in the aligned sense) anyway, so adding in lens distortion can be a nightmare. Of course better colour accuracy wouldn’t go astray. So really what I am asking is how have you found the lenses in terms of distortion compared to 35 mm lenses? I have been toying with some adapted MF lenses on my Canon and fund they are better. The longer 35 mm FF lenses tend to be OK, and the 24 TSE is pretty much the best, but there aren’t a lot of choices otherwise, especially with PC capabilities. I think the depth perspective relative to 35 mm is something else that is nice which you didn’t mention — so for instance the compression of a 50 mm on MF has a wider FOV than 35 mm. It looks more natural to me anyway. By the way, have you considered using a camera like an Alpa or Cambo for wider stuff? I think they are looking much more practical these days now that live view has become usable on the MF backs. MF adapted to 35 is likely to perform better than MF on MF or 35 on 35 – mainly because you’re only looking at the centre of the lens. MF also tends to work with longer real focal lengths, which are somewhat easier to design for than very wide ones. That said, the really wide stuff – 24 and 28 – for Hasselblad does have some distortion, though it’s relatively easy to correct for and not a strange complex wave type. Agreed that MF rendition of DOF looks more natural – you can have more in perceived focus but retain some slight separation of foreground and background – but seeing as I work mostly in focus, it wasn’t so much of a consideration to me. Alpa/Cambo: yes, but the price and/or weight is prohibitive. And Hasselblad has the excellent HTS tilt shift adaptor. With that and the 24mm, you have a 28mm-e with +/-15mm of shift on the 44×33 sensors; 21mm on the 54x40mm sensors. I’ve been playing with a 6×7 lenses (on a makeshift view camera with the Canon on the back — like what Cambo/Sinar/Arca are doing now) so it has a huge amount of coverage. The magic really comes about from stitching. I’m thinking it would be a good compromise with one of the 44 x 33 sensors, since as you say it’s getting the best part of the coverage. And the 44 x 33 backs are getting quite affordable. You’d probably get a decent two frames into the image circle with room to spare. Yes the Actus is the teeny-tiny-mini bellows camera. Arca make a really nice looking one too (Universalis) that has more movements overall front and back (but it costs a fortune like all their gear). Sinar’s version uses the full size P system with an adapter as far as I know so it is very capable but relatively not very portable. The Cambo I was referring to is the WRC-400, part of the wide series of tech cams, but with movement only on one axis. It takes the same lenses and back adapter plates as the WRS cameras. When I first looked at them (tech cams) the guy selling them said of composing without the groundglass or live view “no problems you just guess take a shot and then delete it if it’s not right”, to which I thought no thank-you what a joke. So it was back to looking at SLR versions with the other compromises they had (bulkier, lenses with more distortion, cost of HTS — and not as wide focal lengths, mirror slap: unless mirror lockup is used). And the Mamiya 645 being sold at that stage was a heap of junk. It felt very out of date and cheaply built compared to the Canon/Nikon gear. When would you be in Singapore ? Would you be keen to preview a multi-million dollar advanced audiophile system ? Thanks for the offer, but this is going to be a flying visit for the launch. Typo in the fourth paragraph: 35mm crop factor. Thanks – I must be missing something though, can’t find the typo! There isn’t one! I misread; somehow I thought you were listing 0.8x and 1.3x as the crop factors for the 100C which would be pretty far off. I see now you were correctly listing them for the 50C. My bad! Hi Ming, you recommended stepping down on the 40cf fle with the cfv backs. Is it a focussing issue or sharpness or something else? thanks very much, calvin. Note that lateral chromatic aberration (unlike axial chromatic aberration) is not improved by stopping down. I Just completed a controlled head-to-head comparison in the studio of the H5D-50C (borrowed/rented from my local Hassy dealer) and the Pentax 645Z (which I own), and, from my POV, it was a set of very nuanced trade-offs. But in terms overall IQ, my very, very slight preference was for the 645Z. Both are immensely capable systems, but the way the Pentax handles pattern noise and shadow tonality is noticeably superior to the Hassy. In turn: The transition in the highlights and Hassy’s color rendition is slightly better than the Pentax. Slightly. Over tonality goes to Hassy, but Pentax’s 90 is vastly superior to the Hassy’s 80. And the new Pentax wide-angle zoom has no real equivalent in Hassy’s lineup. Pentax’s new 35 (great lens, that) is better overall than the Hassy 35. Conversely, Hassy’s 120 is noticeable more sophisticated in its rendering than the (aged) Pentax 120. Same with the 150—Hassy’s is more modern and a more capable design. And so it goes: There are more differences revealed in my comparison, but I certainly could live comfortably with either system. My strong sense, which is based on my long experience with the Pentax, and the aforementioned comparison, is that for the most part the IQ differences between these two systems is vastly overstated. Yes, nuance and subjective reaction to both the shooting experience and to the aesthetic of the resulting image become at least as important as objective observations, but even taking this into account, the two systems are very, very close in their overall IQ. So, why would I consider moving to the Hassy? For one, I need tilt and shift. I originally thought that the needs once covered by my 45MM and 85MM Nikon PCEs would not really be missed. Wrong. And, although the net value of high-speed sync in the studio for most applications is ridiculously overstated, I would, in fact, like to have the ability to sync at any speed. There are those (rare) instances where it is needed for the type of photography I do. Also, Hassy’s haptic and tactile interface leave the Pentax in the dust. There are other important factors: Hassy’s professional support and trade-up program. And there is the intangible notion of provenance and history—Hassy’s own, regarding its incredible legacy, and how Hassy has intertwined with my own history. Do you plan to review the HTS 1.5 tilt and shift adapter? The adapter is, as far as I know, unique to Hassy. The efficaciousness of the adapter with the variety of lenses with which it is compatible would be a key factor to my decision to switch to the Hassy. In the studio, I think the differences are far less because you can light accordingly to the way your camera behaves and white balance manually. My personal preference is to trade shadows for highlights – it just looks more natural when you’re working mostly with available light. But they do use the same sensor after all, and there’s no free lunch. I don’t think the IQ differences are overstated if you’re working under uncontrolled conditions: after ~10k frames with the Pentax and a similar number with the -50C architecture in the H and CFV, I definitely prefer the Hasselblad – it requires quite a bit less postprocessing, which in turn translates to more usable free time. Hasselblad has the best TS solution at the moment for medium format, bar none. And it’s much cheaper than buying more lenses especially when you remember the 24, 28, 50, 80, 100mms can be used plus TCs and tubes, adding 135 and 170mm also. A review would be a lot of work for a tiny audience…we’ll see. If I have enough material to pull one together after a while, yes, but probably not something I’m going to go out of my way to do. Suffice to say that I haven’t seen anything in my use of it yet that would say ‘don’t buy’. I actually thought the Pentax was pretty decent ergonomically, though – what about it didn’t you like? It is the most DSLR-like of the MF cameras, and probably also the most customisable (though I’ve not shot with the XF or H6 yet). Great feedback and insights—thanks Ming. I didn’t have the 24 or the 28 on hand, nor did I have the 100. I’m inferring from your choice to purchase it, the 100MM Hassy is far better than the 80? As you point out, I did shoot the comparison outside the studio, which in hindsight I wish I had—although I suppose I could do a separate comparison. Which brings up a point: I have a great Hasselblad dealer in my home town—Pictureline—with whom I’ve been doing business for literally decades now. They have a full rental kit of H-series bodies and lenses (which would be handy if I needed a specific lens for a shoot I haven’t purchased yet or don’t need all the time). I didn’t mean to imply that I dislike the Pentax ergonomically. Its control set is nicely done with its accessible and customizable features, and I like its intuitive interface, which is, as you say, very DSLR-like. My comment was meant to reflect the sense of build quality and solidity of the Hassy, the quality if its materials, how it feels in-hand, etc., all of which together makes the Pentax feel a bit plastic and cheap. I’ve never been able to get used to this aspect of the Pentax; having come from the Leica M products (which I still use nearly daily) and even the D810 (and many previous generations of pro Nikons) and the Zeiss combos—as well as, earlier in my history, the Hassy 503/Zeiss combos. Pentax falls well short in this department. I love the way the Hassy feels in-hand tactually. Unlike ergonomics, its not a very practical consideration, but an important one to me nonetheless. No one would ever call the Pentax machine art. 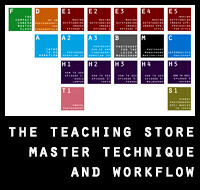 In theory, the TS is very, very cool like you say—but only if it works in practice. The flexibility it provides is unmatchable. Do you have the HTS? Yes, I also have the HTS. The Nikon PCEs are core lenses for me, so whatever system I moved to also had to have full TS functionality; Hasselblad was the only one that really did. And I’m pleased to report it works very well in practice with the 24, 28 and 50. (Not needed it with the 100 yet). Thanks so much, Ming. Looks like eBay is going to get more of my money at some point in the near future. (It cost me $1700 in eBay commissions last time I made a system change ;(. I wonder how I would discover the terms and conditions of the Hasselblad’s trade program. My thoughts are to pick up an H5D and a set of lenses, and wait till I recover from this move at some time down the road to move to the H6D. Thoughts? Put it this way: the H5D hasn’t become a worse camera because of the H6D. I’d see if I can rent one or demo one before committing, though. Which part of the world are you in? If you shoot me an email I can put you in touch with some people. You’re forgetting that I already borrowed/rented one, and compared it to the Pentax in my studio (see the first post in thread). (I borrowed the body and the 80, and rented a bevy of lenses.) As I mentioned, my fantastic dealer Pictureline has a full Hassy rental pool, and is a great dealer with which to work on both the rental side, and on the new-purchase side. I may see if they have the 100 and either the 24 or the 28, all of which I did not rent. I may also rent the TS if they have one. I was a little underwhelmed by the 35 (compared to Pentax’s fantastic new 35) and very disappointed by the 80 (again compared to the excellent Pentax 90). What about the 50MM? This would be a very useful focal for the way I shoot, and do not remember seeing one in the rental pool (although it could have been rented by someone else). How good is it? I may take the time to shoot one (with a different set of lenses) outdoors, in a less controlled environment. Your contention that this is were the differences between the Pentax and the Hassy is has made me curious. Thanks again for taking the time to provide all the feedback. Sorry, my bad. Too many messages to keep track of and my view shows chronological order of all messages for all posts rather than a threaded view. I agree the 35 and 80 are weak – the 50 II is fantastic, and better than the 55/2.8 SDM (which was my favourite lens for the Pentax). I find the 100 better than the 90 SR at matching apertures. 24 if you’re using the HTS because of the crop factor, 28 otherwise. Both are superb. It’s no problem—I’m amazed at your level of communication as it is. And… thanks again for such thorough and thoughtful feedback. I meant to write that I did NOT shoot the comparison outside the studio. Thank-you for your article. Many sites have parroted the Hasselblad press release, but you have added value that is based on real-world experience. As an amateur who shoots outdoors, away from a studio, and who does not need the highest possible resolution for extremely detailed printing in glossy magazines or large print formats, I would agree with you that a 100MP sensor is overkill. Further, I have trouble justifying the features of the new 50MP offering over the existing H5D-50C. Yet, I am in the market to invest in a new system (from my Hasselblad 500 C/M with CFV II 16MP digital back). Plenty of room to improve from this position! 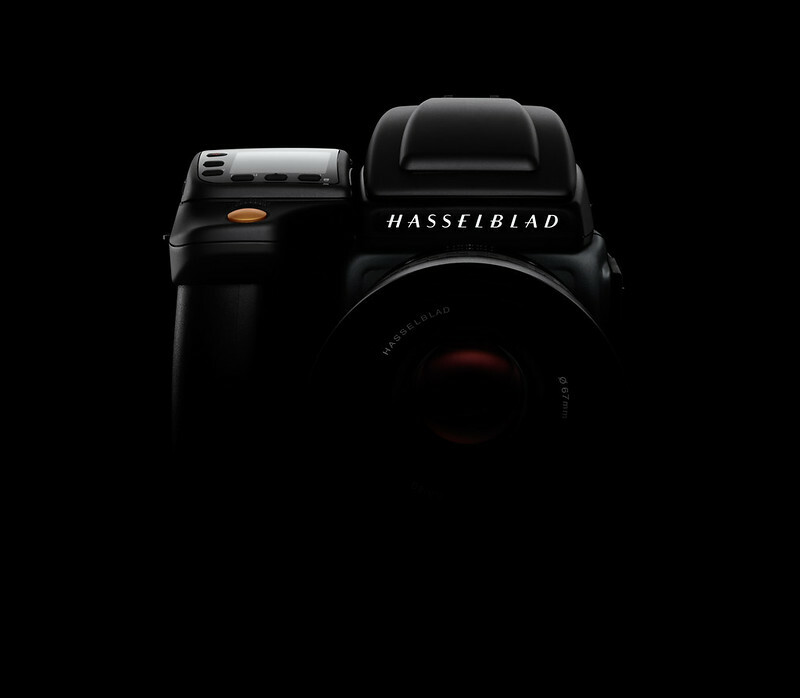 This announcement signals that Hasselblad is alive and healthy, so I am considering Hasselblad options for my future. It should also mean that the recent price reductions for the H5D-50C and CFV-50C become permanent. These are both options for my future. Rather than buying new items, I would guess that this announcement might cause there to be an increase in the number of used H5D-50C and CFV-50C devices available for purchase. 2. Is a CFV-50C “over-capitalizing” a system with very limited future development options? Better to make the switch to a H-series camera? 3. Great portability. Similar quality of engineering to Hasselblad (by reputation not personal experience)? Great lenses. 4. The best ISO performance out of the 4 options. Better autofocus than the other 3 options (?). Lowest marks for the “photographic experience” out of the options. Any comments from you, Ming, or the readership would be highly valued. Are there other interesting options? Any thoughts on options 1 and 2 (i.e., staying with the V-system or swallowing, breathing deeply, and jumping to the H-system?). Big difference in investment between just a CFV-50C and a whole H system – unless you’re really missing wide options, I’d just stick with the V. Image quality is identical between CFV-50C and H5D-50C, and most of the V lenses are more than good enough. 3 and 4 are not particularly reliable, in my experience. And 4 really suffers in the photographic experience department – it’s about as opposite to a V as you can get, actually. Much obliged for your thoughts. You put your finger on the two competing issues between the H and V options – i.e., the absence of a wide angle V lens versus the extra cost of the H. Which is the bigger deal? Difficult choice. Option 3 is perhaps the least appealing, though I can’t believe that I just said that about a Leica – Lots of money and not a particularly grand technology. As you said, the Sony would be an ugly experience – I’m not sure that the reduced cost and reasonable technical match for my photographic style would make up for the poor experience. For me, the expereience (i.e., whether piicking up the cameraI is enough to put a smile on my face, before I even take a picture) is of equal value and importance to the photographs themselves. My time with a 500C/M has really brought this point home to me. The wonderful smooth and precise dials, the clean lines, the litte mechanical touches, the balance of the camera, etc. Looking forward to each and every one of your posts – keep up the fantastic essays and commentaries. Thanks again for your thoughts. You are extraordinarily generous – sharing your knowledge and experience with the likes of me and all your readers. I already have the 4/40 FLE – When researching the issue of wide-angle V-system lenses, I didn’t feel any affinity for the 3.5/30 fisheye, and I honestly couldn’t see enough of a difference between the FLE and IF to chose the latter. Your eye is far more discerning!! I hadn’t really given much thought to the SWC with its “standard” f/4.5 38mm. Your blog post on the SWC903 was extremely helpful for bringing me up to speed – your clear and concise writing style crystalized the issues and provided me with confidence that I would know what I would be letting myself in for if I picked up one of these cameras. It would seem to be a very “different” experience, but my instant reaction was that it would not be a challenge that I would look forward to. Thank-you for taking the time to assist me. You have made me far happier that purchasing a CFV-50C is the right option for me. I have the 4/40 FLE, and I am very familiar with the Autopano Giga software (from Kolor) for stitching images together into panoramas. So most of the other pieces are already in place. I shall continue to dream of an H-series camera. The look of this camera brings the broadest of smiles to my face. I hope that you have a wonderful day – to match the day that I will have now. Thanks, Ming! Can you comment on how the camera/lens system achieves such high leaf-shutter speeds? I was told it has something to do with electronic sync/ readout, the actual shutter components and something in the system that’s driving them on the camera side – I’m curious too and plan to ask about this in more detail when I meet the technical guys in Singapore at the end of the month. I wonder if the Fujifilm DNA continues on in the H6D. A cursory overview would seem to suggest yes. I am very pleased now to know the reason why I am not…:)! Mario Thein doesn’t really work, but I see your point! The P1 XF100 FP shutter will do 1/4000s, but flash sync is 1/1600 with leaf shutter lenses only, or 1/125 with regular ones. The Hassy will sync to 1/2000. Oh HoHoHo!! Christmas cometh early this year!! Just maybe this is the competitor that Phase One needs and it represents Hasselblad’s opportunity to claim TopDog place in the MF field. I for one will be very intrigued to try out this new camera. Agree with Ming’s comment that this is more about dynamic range and quality of rendering than outright resolution. Can’t wait to try it out as I’ve been holding off further investment in any kit until this announcement. Hi Ming, thanks for your articles, insights, tests and passion. I wish you strength for many years ahead! Referring to your article, you mentioned that the market was for approximately 20,000 combined sales a year. Do you know how many sales refer to PhaseOne alone? Greetings from Germany, Stephen. No idea, sorry. Wasn’t given that information. 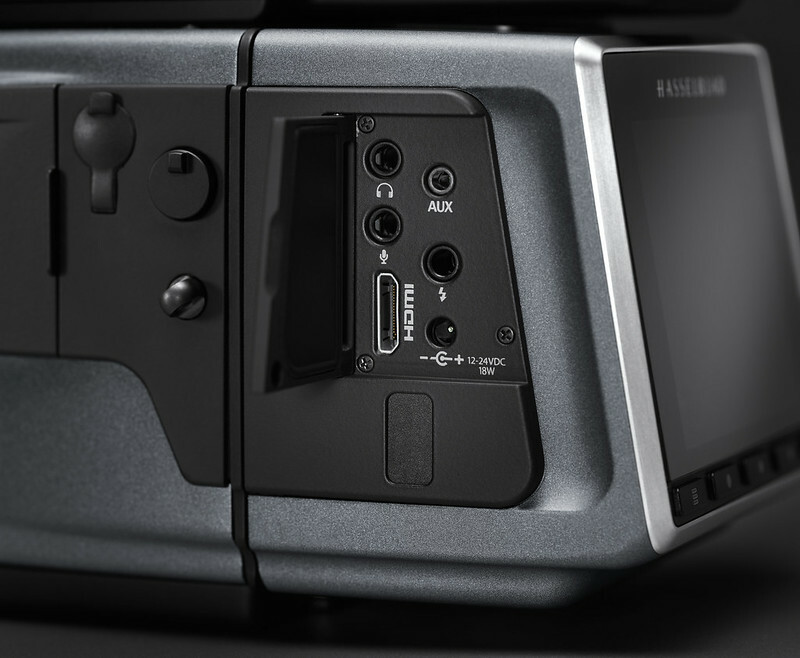 This is pretty exciting announcement from Hasselblad. 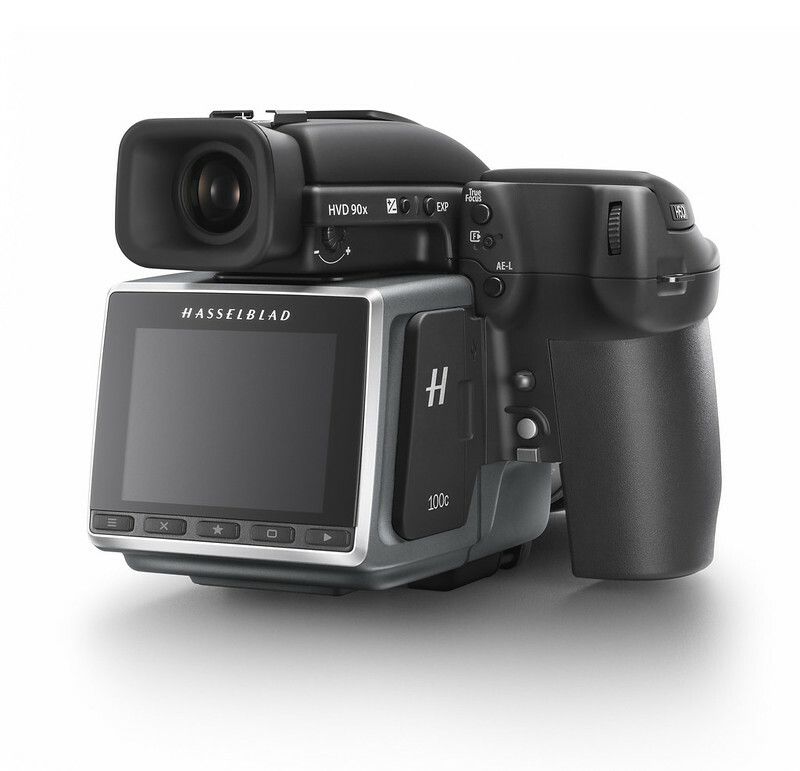 FF encroaching on MF territory, Hasselblad announces new generation… good for competition all around. Adorama has the H5D-50C at $16.5K USD; B&H has dropped it to $14.5K USD, which was the limited-time 2015 holiday pricing. I can’t see prices dropping much more. Definitely hope this puts more pressure on Pentax for a competitively priced 645Z MkII. All things given, especially the camera’s ability to use older lenses and retain full leaf shutter sync, and far superior tonal response and color – I think it’s still a pretty good value proposition, even compared to the Pentax. Glad to see that Hasselblad is still going strong. Do Hasselblad sell on the 2nd hand traded in cameras? With these new cameras out I would love to buy a 2nd hand H5D-50C. I have no idea what they do with them actually. Doesn’t hurt to ask probably? Not sure what you’re referring to. There are a large number of staggered events around the world this month for the H6; I know for a start I’ll be doing the Singapore one but that’s not til end-April. I believe you’re referring to the Hassy April 15 event in Berlin. “Out of idle curiosity,” I don’t think that’s possible for you Ming. Really looking forward to see the images you produce with this beautiful camera. I wonder why do you call the Leica S incomplete system on the basis of lacking the tilt/shift wide lenses. Excuse my ignorance, do you know any wide T/S lens from Team P1? I have the Mamiya 50mm. sift lens and it is almost unusable. Please share, thanks. Leica S might have many faults, but in my view it’s a complete system. 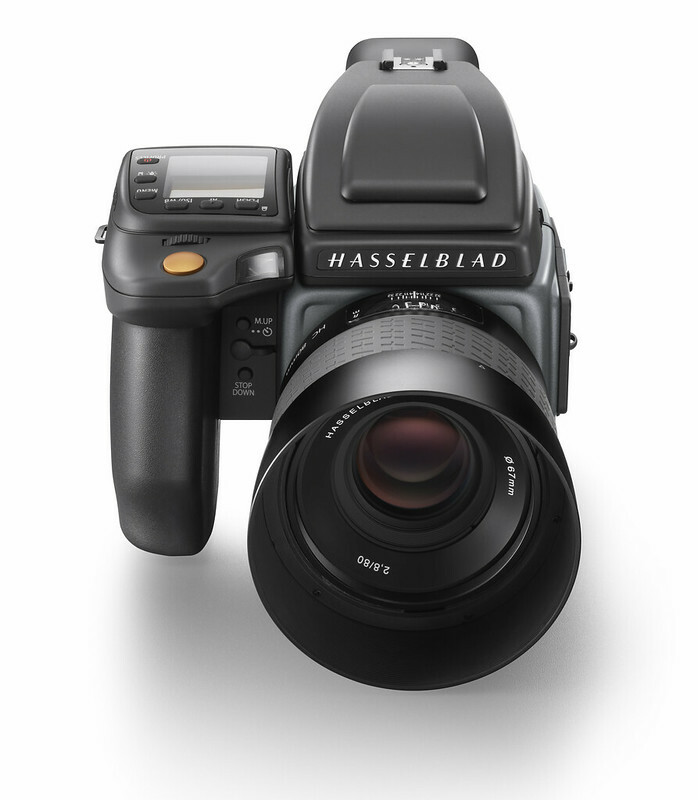 Obviously, it’s behind the Hasselblad and P1 in the megapixel wars. P1 has the entire Alpa system now, offering 32mm upwards and movements. I have 24, 28, 35, 50, 80 and 100mm all with tilt and shift – that’s more than even Canikon. I agree the Mamiya 50 is a dog. And the Leica S system is incomplete simply because I wouldn’t be able to complete one of my jobs with it…in the same way Pentax, Sony etc. are incomplete. Like you I just got the H5D and absoluty love the colors and tonality it turns out. Really look forward to your reviewing the new beast! I’m surprised that you have so much trouble with Phase One, I’ve found them to be very responsive even though I’m a nobody. Is it a lack of distribution in Asia? That being said, this may help drive down the Phase One pricing as well – nothing like a little competition. I’m looking forward to your test results. Possibly just in SE Asia, or possibly because they just don’t want to deal with me…who knows? Yeah, this. Thanks for the overview, Ming. I trust Hasselblad, in their infinite wisdom, will get you a test unit sooner than later. I love my 500C/M and CFV-50c (and film backs, as well). I thought those were enough to scratch that “when it has to be really good” itch. After today’s announcement I can see an H-system joining them. And perhaps the CFV-100c, as well, should that join the party. Based upon model numbers -and- missing features I anticipate there must be a Nikon D850 on an undisclosed road map somewhere…. That’s what I’m wondering, too – it’s been four years since the D800E release; the D810 was an update but no real generational change, and they’ve been silent since. I’m not sure that an increase in pixel count is going to be a good thing, though; having worked with the 5DSR and it’s small pixels, you’re trading off a lot of dynamic range and file cleanliness for a bit more resolution only deployable under a very narrow window – probably not so good for most of their target audience. Hi Ming, what are your thoughts on a 100mp cfv back? will the V lenses work? Thanks, calvin. Hopefully this announcement will drop the H5D-60 into affordable territory. That sensor is the one I really want. I’ve shot the 50c and while it is nice I’d rather not have a crop frame sensor. And Sony color? NO thanks – it’s been enough of a pain with the D800-D810. I know that a profile helps, but I still have to fiddle with it. Thanks for your take on the new line. Neat Ming, this is a neat improvement for Hassy and I’m looking forward to seeing how this affects anything I might actually one day be able to afford! I’m particularly curious to see, as you mention, how the 100 MP works in the wild. I don’t have any other photographers I trust to give me their take for dealing with a such a monster. I’m eagerly awaiting an ultraprint I can’t refuse. I have the wife’s blessing if I can find something both of us love. I think that the Hassy gear should increase the chances for future ultrapints! What would the 35mm equivalent crop factor be on the 100C? Appreciate if you could elaborate on the challenges/limitations of using current HCD lenses on the 100C. Cheers! It’s about 1.6ish; hard to say exactly because aspect ratios are different. HC lenses: no problem. HCD lenses: slight crop factor for some focal lengths; I think they don’t fully cover 54×40 but they do cover 50×37 or something. Not 100% sure as it varies from lens to lens and I’ve not used a full 645 H body yet (only the current 60MP CCD version is full 645, aside from the 100C). Thanks for briefing us Ming. I have a 62 years old crushed hip for sale. Anybody? Ming, wow, max sync speed of 1/2000! That’s what I need! I had commented when you made The Switch post. Since that time, I have been leaning towards going with Phase One, precisely because of the 1/1600 sync speed they have – I shoot fashion and use strobes almost 100% of the time, both in the studio and on location. I hadn’t made up my mind yet definitively (really just stalling for time). Now I may go with Hasselblad instead. Which lenses would you recommend to get the most out of this system for what I shoot (on full frame, my go to focal lengths are 85, 135, and 24-70)? Thank you. I admit I knew this at the time of switching, though I don’t have a need for that kind of sync speed most of the time. I’d go with the 50c version, 35-90, 100 and 150mm – or you could just pair the 100 with the 1.7TC. The problem is the 100C makes lens choices a little tricky, actually. Thank you for the recommendations! I would go with the 50C (on the Phase One, I would go with the IQ350); I don’t think I want to deal with 100 mp at this point – it’s a pain to retouch that level of detail. This is a very interesting question for someone who has never ventured into Hasselblad territory and doesn’t understand the nomenclature or compatibility options. May be you should give us interested parties an overview post that brings us into this new brave world with background and recommendations for newbies? Already did…that said, I don’t think there is a ‘general one size fits all’ here – you really need to know what your purpose is, and that’s going to have specific concessions made etc. At this level of tool, general guides aren’t so useful. I would love to see you price calculation. Or better can you please tell me where I can buy the H6d 40% cheaper than the XF 100 system ? The H6D-100’s list price of 28,900 EUR is 32,800 USD depending on exchange rates. The XF 100 is 49,900+/- a bit – that’s about 65% the price of the Phase One, and at least 35% cheaper when you factor in much lower local taxes in the US, plus historically and currently camera gear is always cheaper outside Europe. I would love to see what you do with that 100mp sensor, although viewing on the web wouldn’t do it any justice. I guess presenting 100% view may highlight what these tools are capable of. I wonder if the extra megapixels will add anything to the medium format look? I think it will in print – more spatial resolution equals smoother tonal transitions, too.